Paul Davies is standing for Parliament as the revolutionary working class alternative to the ‘capitalist parties’. Davies, 48, is a meat factory worker. He has also served as a reporter for Militant magazine. 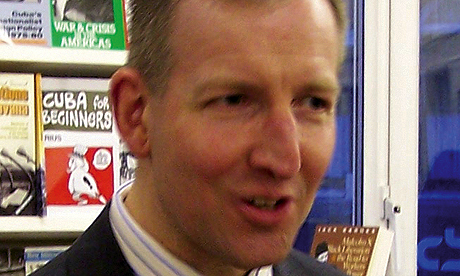 Davies has supported campaigns by African, Caribbean, Latin American and Asian-born workers against deportation and for employment rights. He has also organised protests for the withdrawal of British troops from Iraq and Afghanistan and organised meetings on the Cuban revolution. “The Cuban revolution is a living example of how working people can win state power and forge a government to combat all forms of exploitation and oppression. In Britain, revolution is not only possible – revolutionary struggle is inevitable, as workers are driven to resist government and employer attacks”, said Davies. End immigration raids and deportations. Immediate and unconditional legalisation of all undocumented workers. No preferential hiring of British-born workers. Freedom for the Cuban Five: Gerardo Hernández, Ramón Labañino, Antonio Guerrero, Fernando González and René González – five Cuban revolutionaries jailed in the US. Note: this article was originally published 24 March 2010 and was then re-published 25 April 2010.